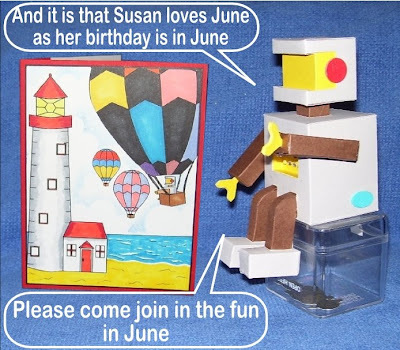 Very nice card Susan! When is your birthday? 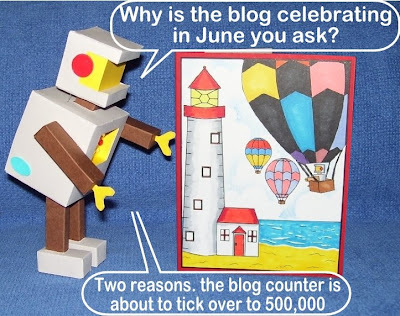 Robot is UP UP and AWAY Again! Do I look like HER? A touch of PURPLE in the garden.